First Ahoghill Youth Fellowship meets on Sunday evenings from 8.00 to 9.30, and is for anyone of secondary school age or older. We have talks, Bible studies and the very popular “prayer and pizza” nights, all aimed at getting to know Jesus and finding out how to serve Him better. 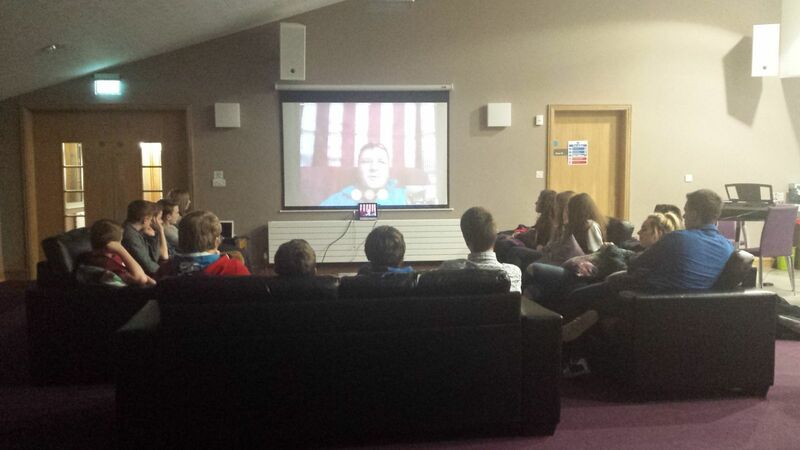 We meet in the “Slemish Suite”, the purpose built youth room in the new First Ahoghill building. This term, we’re meeting every week between 11th September and 18th December. We’re planning to go carol singing on the 18th December so wrap up warm!